The set of routines stored in read-only memory that enable a computer to start the operating system and to communicate with the various devices in the system, such as disk drives, keyboard, monitor, printer, and communications ports. The BIOS is built into the motherboard, and is the first code run by a PC when powered on. The BIOS then locates software held on a peripheral device, such as a hard disk or a CD, and loads and executes that software. This process is known as bootstrapping. For the curious, the saying “to pull yourself up by your bootstraps” was an example of an impossible task. A BIOS will also have a user interface (or menu system) which is typically accessed by pressing a certain key or key combination on the keyboard when the computer starts.This key varies from system to system. Generally, you will have a brief window of opportunity to press this key before the operating system takes over. If you watch your screen carefully when you first turn it on, the key needed to enter the BIOS set-up system should be displayed. On today’s fast systems you probably won’t have more than a few seconds to do this. If you miss it and your OS boots, your only recourse is to re-boot the computer and try again. In the BIOS System Menu, you can configure hardware, set the system clock, enable or disable system components, select potential boot devices, and set passwords to keep the “bad guys” out of your system. If you want to know what all those BIOS settings mean, then this is the place. **Note: The latest updates were entered in 2010. There is still a plethora of useful information there. Unlike Graphics or Audio drivers, the BIOS it is not software-driven. BIOS is on a chip called NVRAM (Non-Volatile Random Access Memory). This is a type of memory that retains its information when the power is turned off. Your BIOS version should be displayed on the initial boot-up screen. It is possible to “burn” or “flash” your BIOS to bring its version up-to-date. Version updates usually offer new improvements, fix specific problems, or to enable them to address new chipsets. “Updating” /”Flashing” your BIOS is not the same thing as updating Graphics, Audio, or other types of software drivers. The only time you should take this risk is if the BIOS upgrade offers you something you really need. In other words, if you don’t need it, don’t do it. If it ain’t broke, don’t fix it. The risk involved is this– if, for whatever reason, your system should shut down during the update process, your BIOS chip could get “fried”. I don’t mean physically fried, but I mean inoperable because not all the data would have been written to the chip during the upgrade. This will result in incomplete and/or garbled data. This could happen because of a power outage, a corrupted binary file, or any number of other nasty reasons. The result is a computer that won’t start. You’ll end up with a very expensive door-stop. 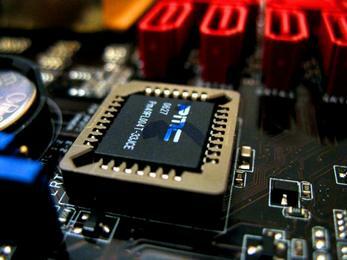 You may even have to replace the entire motherboard if the chip is soldered (in most cases, they are). There are safeguards in today’s modern systems, but I wouldn’t totally rely on them. There is no way that I am aware of to guarantee a successful BIOS update. There is always an element of risk– it is not a task for the faint of heart. For the above-mentioned reasons, I recommend that you do not “flash”/upgrade your BIOS unless it offers you a substantial improvement or some feature that you can’t live without. Read the change logs to see what’s new or fixed. You should be able to find this information at your motherboard manufacturer’s web site. Do not flash your BIOS willy-nilly at every given opportunity. This isn’t necessary, nor is it wise. Not going to lie, I did not read the article, but only because I know my way around a B.I.O.S. I just wanted to ask why this article was even written, it seems so incredibly late in the game when many new computers,like mine for instance, use the new U.E.F.I. interface. Shouldn’t that be what is being learned about? Just my two cents. I agree that the information here is more than a tad out-dated especially for people such as yourself who are technically familiar with BIOS. I still believe there is a vast majority of computer users out there that may not have even heard of BIOS and if they have, they don’t know what it does. An article of this type is strictly for those people. There are many late-bloomers out there who are just now developing an interest in what you may consider to be archaic information.